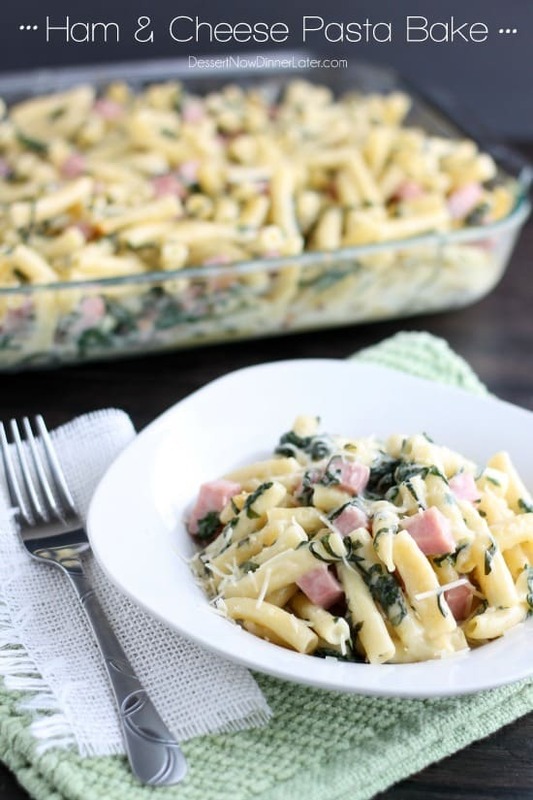 Ham and Cheese Pasta Bake - Dessert Now, Dinner Later! 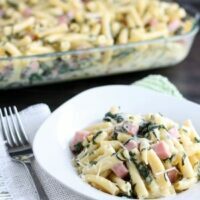 This Ham and Cheese Pasta Bake is cheesier than this picture suggests, with a creamy white cheddar cheese sauce and the spinach adds just the right pop of color and flavor. 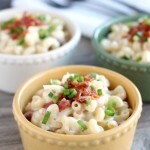 This meal is very filling and one that the whole family will enjoy. It’s different than most of my typical dinners, so that’s why I think I liked it so much. I get a little tired of chicken and ground beef all the time. I don’t typically have white pasta very often either (we usually get wheat) so that might be another reason why I went back for seconds, haha! 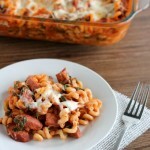 Anyway, you will enjoy this simple weeknight dinner! Prepare ziti according to package directions. Meanwhile, in a large stock pot, melt butter. Stir in flour until smooth; gradually add milk. Bring to a boil; cook and stir for 2 minutes or until thickened. 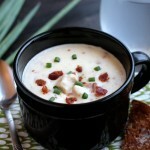 Reduce heat, stir in the cheeses, garlic powder, and pepper; cook and stir until cheese is melted. Drain ziti; add to sauce mixture. 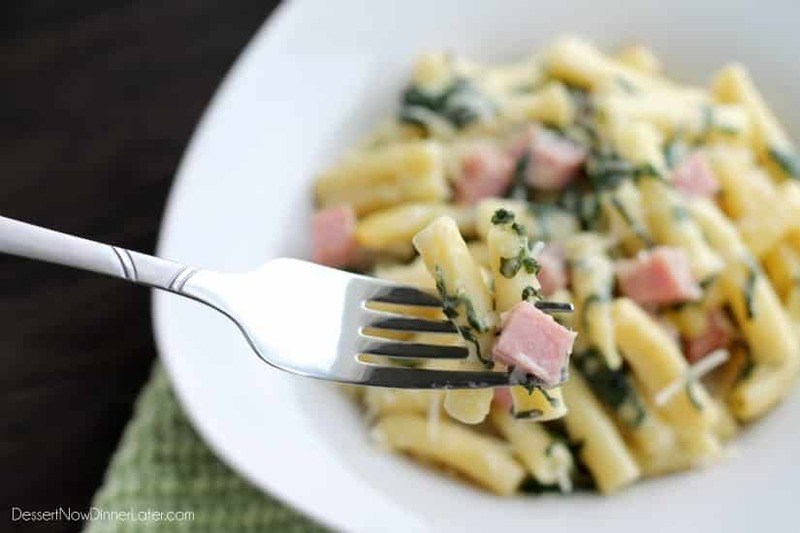 Stir in ham and spinach; cook until spinach welts. Transfer to a greased 13x9-inch baking dish. Bake uncovered at 375 degrees Fahrenheit for 20 to 25 minutes or until heated through. This looks super yummy, what a delicious Spring meal! Thanks for sharing! Pinning this! Yum! This is my kind of pasta. Can’t wait to try it! Pinned! 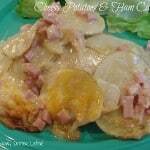 This looks like the perfect use for leftover Easter ham! Oh I can’t wait to make it again! I added mushrooms and onions, and it was delicious! Great additions! Thanks for coming back to share your experience! 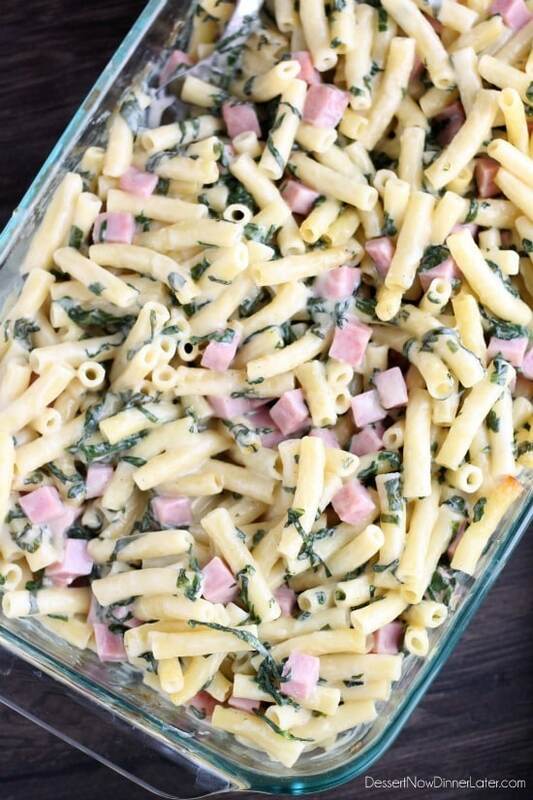 How would you suggest to make this a freezer meal? I don’t want to make the pasta mushy or anything of the sort. Just make sure you undercook your pasta by several minutes (maybe even half the time). 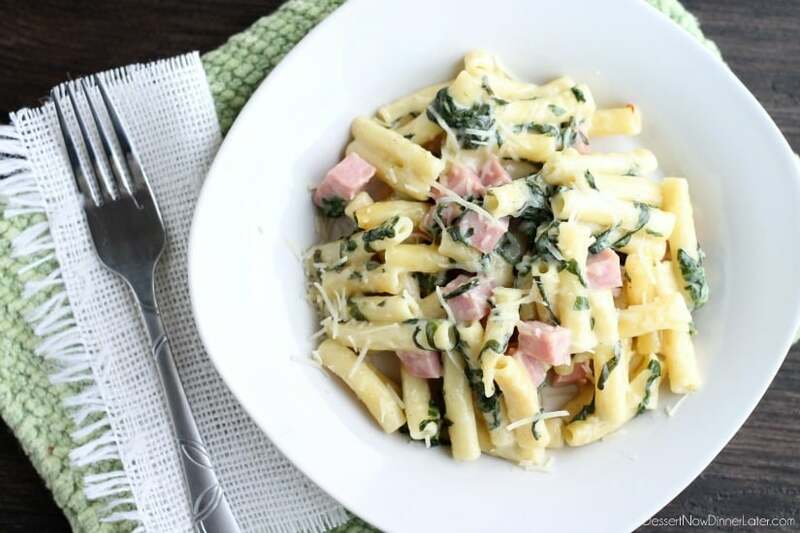 You can also add more milk to the sauce so when the pasta soaks it up as it bakes, it won’t take all the liquid. When you bake it later, it will most likely take 45 minutes or more to heat thoroughly. Just make sure it reaches 165 degrees Fahrenheit in the center.